On October 22, a non-profit company known as the Preservation of Affordable Housing (POAH) completed construction of The Burnham, a 65-unit housing project for the elderly. This construction, located on South Cottage Grove Avenue between 61st and 62nd Street, is part of POAH’s initiative to redevelop a residential and commercial corridor from 60th to 63rd Street. This site previously held decades-old, poor quality housing and still suffers from above-average crime rates, according to the Chicago Tribune. A three-block strip of privately owned, low-income housing units known as the Grove Parc Plaza Apartments had been constructed on the current project’s location in the late 1960s and has since fallen into disrepair. “By the mid-2000s, it was in very poor shape physically. It had every issue you could think of—obsolete building types, just really awful conditions. It was among the worst housing you’ll ever see,” said Bill Eager, Vice President of POAH and an alumnus of the Harris School. In December 2008, POAH decided to acquire and demolish the deteriorating and nearly foreclosed properties. It pledged to provide alternative housing in Woodlawn Park development for residents in the 378 occupied units of the 504 that were to be torn down. 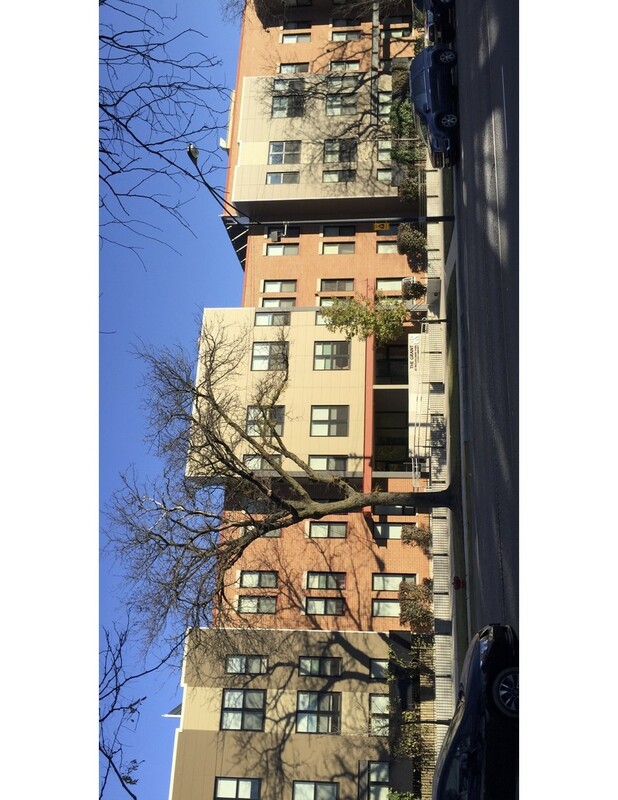 In 2011, POAH partnered with the city of Chicago and received a $30.5 million grant from the Department of Housing and Urban Development to create higher quality affordable housing, improve community safety, and provide educational opportunities. So far, POAH has largely completed redevelopment of 61st and 62nd Street. Across from The Burnham, the company constructed The Grant in November of 2013—a now fully occupied 33-unit rental apartment building. POAH offers many free services to all locals within this mixed-income housing, including a Family Opportunity Center and an Employment Center. “We really want this to be a center of activity for this part of Woodlawn,” Eager said. POAH also plans to incorporate commercial real estate into its properties more heavily, promising to provide 6,700 square feet of commercial space on the first floor of a development that will begin next year on the southeast corner of 61st Street. In 2016 POAH will start work on a 15,000-square-foot, five-story commercial and residential building next year known as Woodlawn Station on the northeast corner of 63rd Street, as well as a grocery store on the northwest corner of 61st Street. According to Felicia Dawson, POAH’s Director of Community Partnerships and Engagement, this initiative will provide an estimated 300–400 union jobs for the area. Residents echoed Eager’s hopefulness, painting a complex portrait of the Woodlawn neighborhood: an area with persistent crime but also great potential.